Calling all LANEIGE Beauty enthusiasts and fans of the sleeping mask range, LANEIGE Beauty Road 2017 is happening now at Centre Court at Mid Valley Megamall and showcases the sleeping mask range; perfected by the sleeping mask experts. After its debut in 2015, the LANEIGE Beauty Road has seen a comeback in 2016 and now is making its third return in 2017. 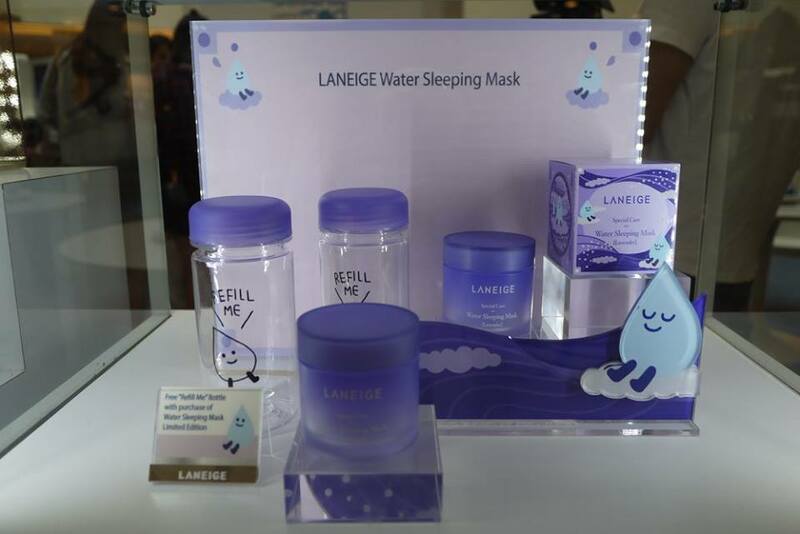 Featuring not just the latest K-beauty trends, this year’s LANEIGE Beauty Road showcases the sleeping mask range; perfected by the sleeping mask experts. The beau-tastic Beauty Road event is filled with games, contests, giveaways and a K-beauty experience area where one can learn everything one needs to know about K-beauty. The exclusive experience area includes a scent bar experiential zone, scented card wall – where various illustrated cards with different scents are featured - and many more. The new additions to the sleeping mask range, the Eye Sleeping Mask, limited edition Lavender Water Sleeping Mask and four new flavor variants to the Lip Sleeping Mask – Berry, Grapefruit, Apple Lime & Vanilla have been launched at Beauty Road 2017 too. With the ever-increasing worry Malaysian women have over skincare regimes, LANEIGE’s Sleeping Mask range helps achieve radiant, bright and rejuvenated skin – all just a sleep away. 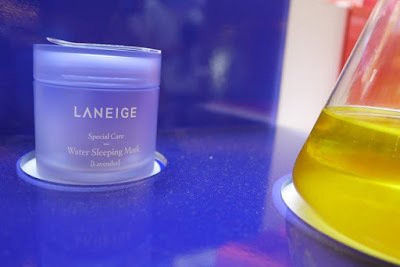 Formulated with the latest moisture locking technology, the LANEIGE sleeping range provides optimum level of care not only for the face and lips but also the eye zone with the inclusion of the all new LANEIGE Eye Sleeping Mask. 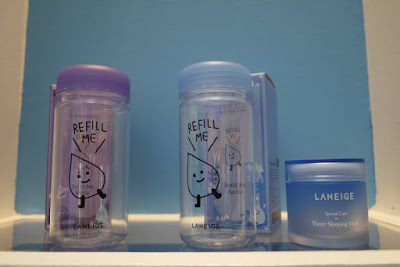 Taking it further than just beauty notch, LANEIGE Malaysia’s commitment towards providing clean water to the rural community is being manifested through its continued collaboration with Global Peace Foundation (GPF). Carrying out the fourth installation of its corporate social responsibility (CSR) initiative, the ‘Waterful Sharing Campaign’ resumes with the beneficiaries of Kampung Binjai, Pahang and Kampung Ulu Geruntum, Perak set to receive an additional four (4) water filtration systems; in addition to the previous installments. 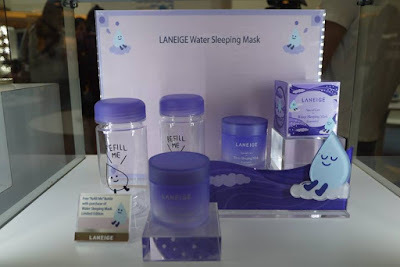 This year, the campaign will see LANEIGE raising RM100,000 through the sale of its ‘Refill Me’ Water Sleeping Mask which now comes in a new Lavender Scent for a limited time. 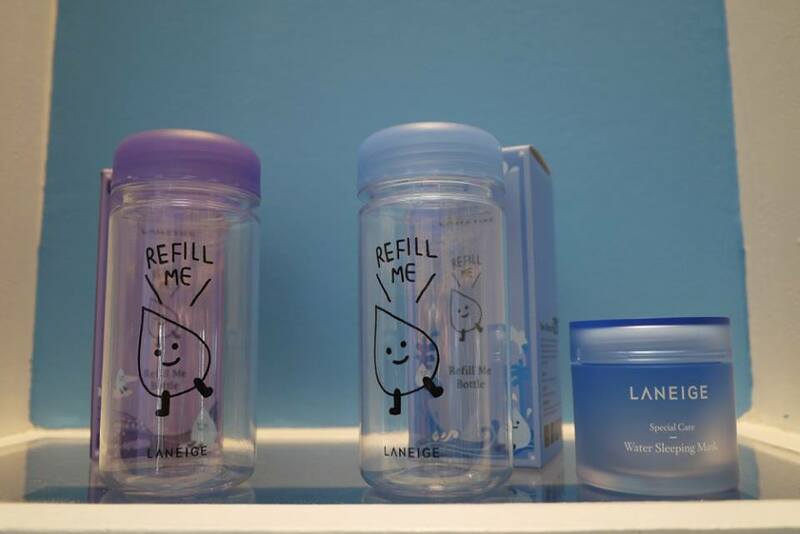 Customers will receive a complimentary ‘Refill Me’ limited edition water bottle along with the purchase of Limited Edition Water Sleeping Mask or Water Sleeping Mask Lavender, in which RM10 from the sales will be directed towards the LANEIGE Waterful Sharing Campaign 2017 Fund to aid the installation of the 30 water filtration systems in the respective settlements. “We are very excited for the third installation of Beauty Road and to be including more variants to our Sleeping Mask range, especially with the all new Eye Sleeping Mask. 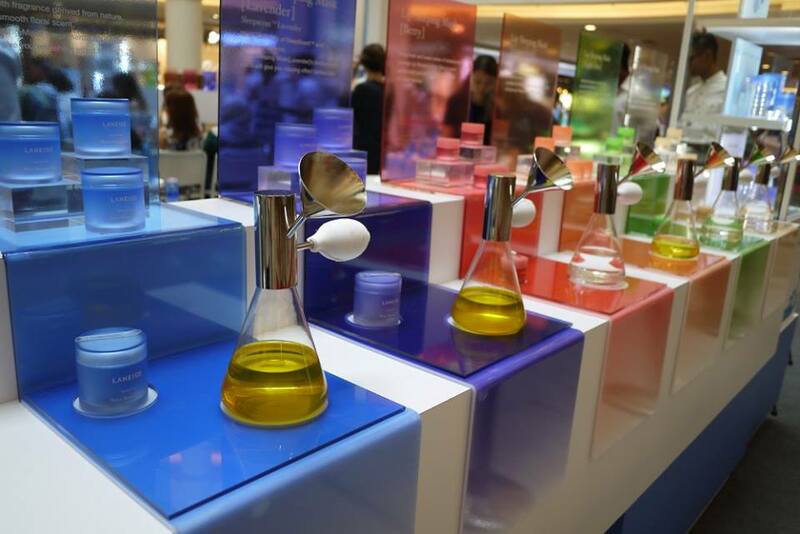 At LANEIGE, we strive to perfect our formulas best we could and to constantly push ourselves to provide only the best to our consumers. That said, resuming our CSR initiatives this year truly brings a sense of fulfillment,” says Foong Winnie, Brand General Manager of LANEIGE Malaysia. Visitors can look forward to special appearances by Isabella Kuan and Michelle Leong, social media influencers, presenting their views on K-beauty and their very own beauty secrets. The LANEIGE Beauty Road is not to be missed as it’s only held once a year with unique activities and events brought to Malaysians all the way from Korea. 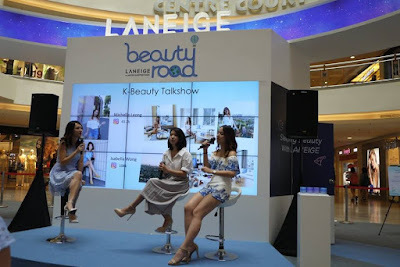 So, made your way to the LANEIGE Beauty Road for promotions and great deals, sparkling gifts with purchase, early bird special and value beauty sets. 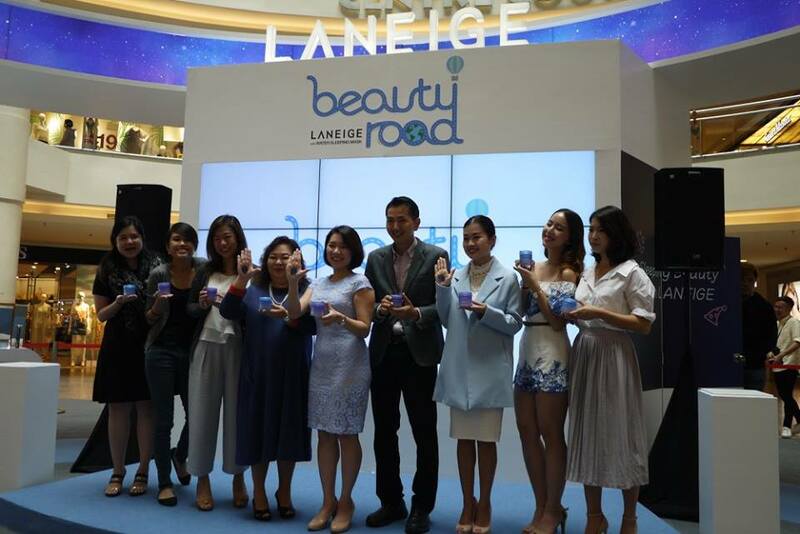 The LANEIGE Beauty Road ends on this Sunday, 14th of May 2017. What an wonderful event, gonna drop by and show my support by purchasing their sleep mask. Their products look really interesting. I love the cute containers that they use. 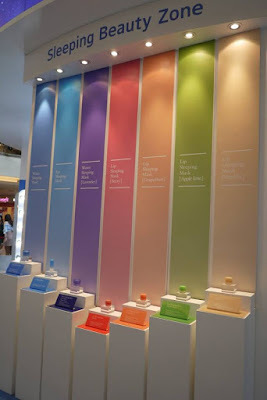 Laneige always have great product. Love this event that they are holding. seems like a nice event! will definitely check it out! I'm using the brand now. I like the quality of the products. I love to get my hands on their new range. I bet its nice for your skin.